Where did life originate from? Does the scientific evidence support evolution? Is the universe billions of years old or thousands? Is there any evidence for the Biblical Noah's flood? In the past 25 years the scientific evidence supporting Biblical creation and the subsequent flood of Noah has continued to build. It is our purpose to see this material made available to more people in an accurate and compelling way. 1. Educational TV programming -- CORE sponsors educational TV shows on The Creation Network as part of it's ongoing origins educational effort. 2. Educational Books and Videos -- CORE makes available a number of origins and earth science books and tapes as part of it's ongoing origins educational effort. 3. Talks and Seminars -- CORE representatives can be scheduled to present multimedia talks and seminars on a number of creation subjects at your organization, school or church. 4. Projects -- CORE is involved with projects investigating and researching current issues regarding creationism, orgins, and earth sciences. 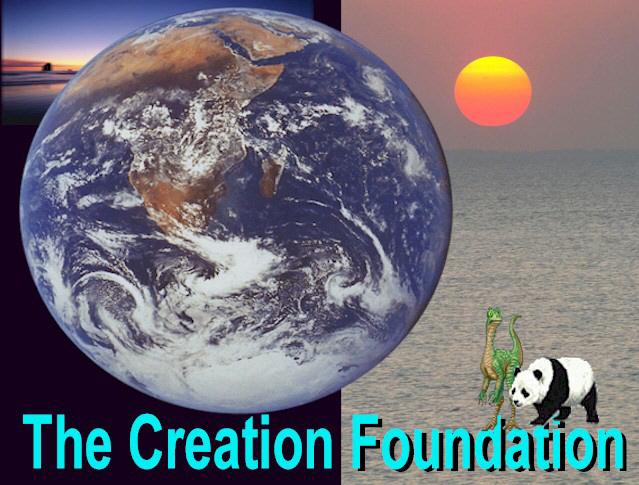 The Creation Foundation is a non-profit organization, supported by viewers, project partners and folks like you. If you are interested in financial support follow the link to the Donations page. This site is hosted by hevanet.com an excellent internet service provider in the Portland OR area.